A compelling set of true stories about my life, passions, adventures, travels, motivations, innovations and random ideas about life and love. I always wanted to have all these awards, I see them adorn the walls of my friends blogs and I feel like I miss out, But now I am among the elite group. I am legend … wait for it … dary. 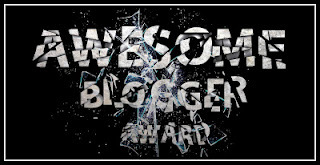 When Kajal gave me the awesome award ‘Awesome Blogger Award’ I was in cloud nine and In a couple of days got another. So I thought i would wait some days and may be I will get lots of them, unfortunately that is not how it works I suppose. So Finally o decided to write it down. Link back and thank the person whom I got the award from. Share 7 things about me. Pass the award to 15 newly discovered great bloggers. 1. I am milk lover ( loves it much much more than tea or coffee). 2. I got into blogging thinking of making money( I haven’t made a penny 😛 Lol). 3. I like to sleep all the time. 4. I am a adept programmer ( really guys I can code) . 5. I likes to walk around the house naked ( only when nobody’s around , feels natural). 7. I am addicted to chocolates and cant live without my daily sugar. The last two can be done together, which idiot designed this award. How can I ever give people awards without telling them they got it. It doesn’t make any sense even if I did. I don’t want to be so whiny. * for being my BFF in the blogosphere and all the wonderful journeys she shares with us. * for all the wonderful stories about India that she brings to the table. * for all the beautiful stories that bloom in her wonderful nest. * for all the amazing things this homemakers. 5. Pranita Bhatt of Miracles Happen! * for all the wonderful Haikus she been spurring up lately!. * for all the wonderful pictures his camera takes for him. * for her beautiful child Avery and the wonderful stories they brew up together. * for having her blog address so similar to mine so that could find in out meet little miss Avery. * for all the things he claims to have seen with his third eye (which we see with our two). * One more for you collection Deepak!. * for being a wonderful mom talking about being a wonderful mom, who thought narcissism be so charming. * for all the people she has managed not to kill in her latest road rage. * for all the things she si been putting on her blog, everything from random snaps to chiseled poems. * For all the enigmatic poems shes been churning out, she is on a roll. * everybody knows her and her versatility, ( she got me blogging ). * last but not even close to the least, for all the wonderful things she rights in her blog. Secondly Thank you. And most of all, thank you for the kind line you down there. That's the real award :)Thank you so much. 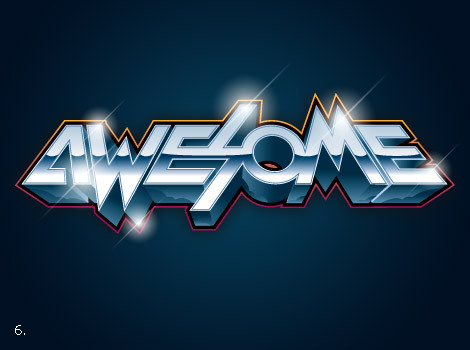 Keep up your awesomeness. Nice post and gr8 blog… thanks for sharing.. keep it up..
Congratulations on the award.. I hope you don't inspire voyeurs into buying binoculars 🙂 after this confession online! Congrats for your achivement . . .